This entry was posted in Bulgarian Recipes, Quick and Easy, Sweets, Vegetarian and tagged Fillo, Raisins, Rolls, Rum, Sugar-free, Sweet Potato, Tikvenik, Walnuts. Bookmark the permalink. sweet potatoes are. Your last post asked on which culinary traditions I base most of my cooking. I think I rely mostly on Italian and Mexican. Thanks for the comments, Susan :). I kind of fallen in love with sweet potatoes. By the way did you know that the Yucatan peninsula is considered to be one of home of sweet potatoes. Here is a thought. Since you love sweet potato fries, have you tried them sprinkled with chipotle? It goes really well. Thanks for your comment and congrats to you as well! 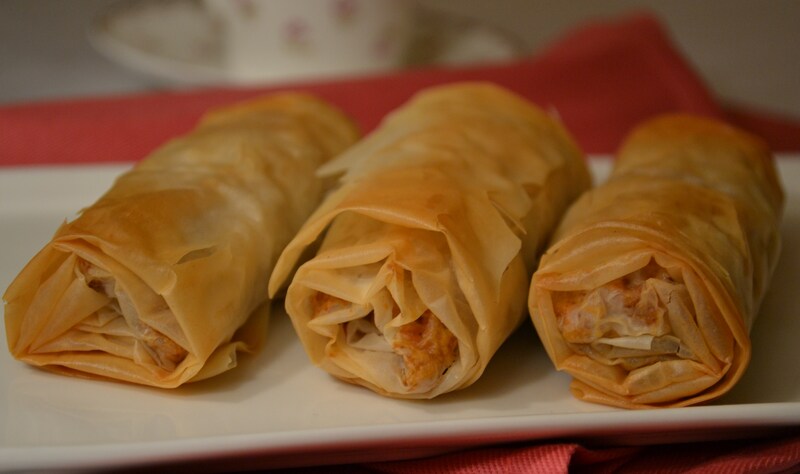 I love phyllo and would love to try these!